Bryan Cranston as Walter White in AMC's "Breaking Bad." A two-hour movie continuing the saga of AMC's "Breaking Bad," which aired its final episode in 2013, is in the works, multiple sources reported Tuesday. 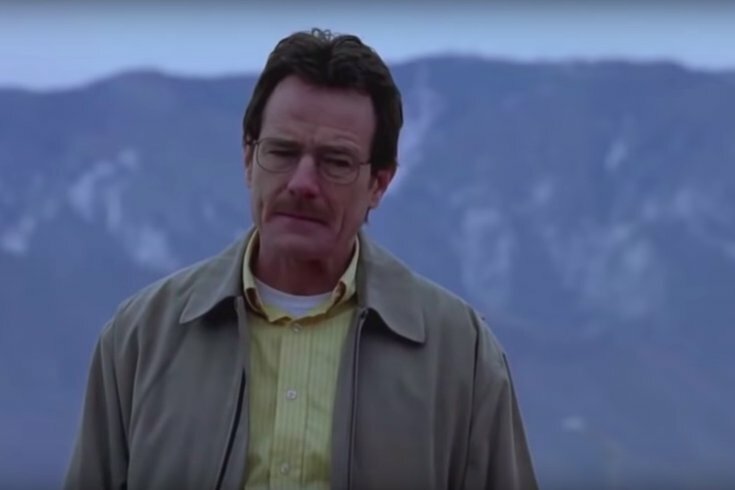 Details on when the movie takes places in the "Breaking Bad" universe are still unclear, Hollywood Reporter said, figuring the film could be another prequel, such as "Better Call Saul," or continue the story after the original show's finale. The rumored title is "Greenbrier." "Breaking Bad" showrunner Vince Gilligan is writing the script. The New Mexico Film Office told local sources that the film will be in production in the area from mid-November through February. What's also unclear is where the film will be released. Though linked to the cable TV drama that followed the life of high-school-chemistry-teacher-turned-meth-dealer Walter White, there is speculation that this project would be released as a feature film debuting in movie theaters. "Breaking Bad" stars Bryan Cranston and Aaron Paul have not been confirmed for the project. In addition to writing the script, Gilligan will also be an executive producer. There's speculation he also will direct, reports say. Mark Johnson and Melissa Bernstein, who were both producers on "Breaking Bad," are reportedly on board for the project, as well. Earlier this year Gilligan signed a three-year deal with Sony TV valued at almost $50 million. The so-called "Greenbrier" film is his first project under that contract. Further details on the film's plot emerged Wednesday. According to Slashfilm, "Greenbrier" will focus on Paul's character Jesse Pinkman in a story following the original show's finale. A brief logline describes the film as tracking "the escape of a kidnapped man and his quest for freedom." Paul is reportedly signed to reprise the role. Cranston referenced the new movie while appearing on "The Dan Patrick Show," commenting that he would "absolutely" appear in the film if asked. “It’s a great story, and there’s a lot of people who felt that they wanted to see some kind of completion to these storylines that were left open, and this idea, from what I’m told, gets into those… at least a couple of the characters who were not completed, as far as their journey," Cranston said.